Every year, I look forward to working on OXO's Cookies for Kids Cancer campaign. For every blog post in September about the campaign (limited to one post per blogger), they donate $100. While I'd love to be able to donate cash to every worthy cause, it's simply not possible on my budget. But this makes it easy. I donate a blog post, they donate the real money. PLUS, I get cookies, and you get a recipe. AND ... if you buy any of the specially-marked OXO products, they donate even more. So if you were thinking about adding a few kitchen gadgets to people's Christmas stockings, now's a good time to buy. For every stickered item sold, OXO will donate 25 cents in support of pediatric cancer research as part of its $100,000* pledge to Cookies for Kids' Cancer. 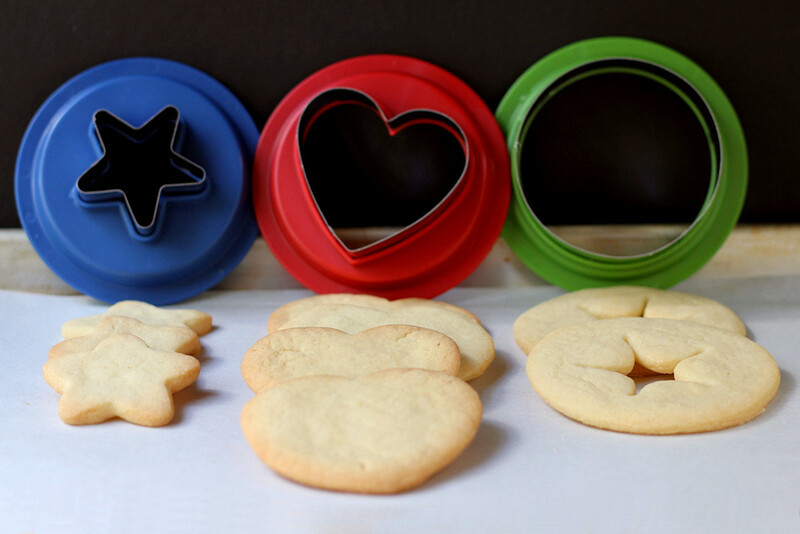 For this promotion, OXO offered three different baking options - drop cookies, iced cookies, and cookie-pressed cookies. When I looked at the tools being offered, I chuckled a bit, because I had most of them. So, it really didn't matter which group I was in, if we're talking strictly about tool-acquisition options. But like I said, I don't do these posts for me. I just wanna make OXO donate more money. I'm nice like that. I ended up in the iced cookie group, which meant I was going to work with a 3-piece cookie cutter set (round, heart, and star) a blue cookie spatula, a cupcake icing knife, and a 3-piece spatula set, which is something I can always use.. 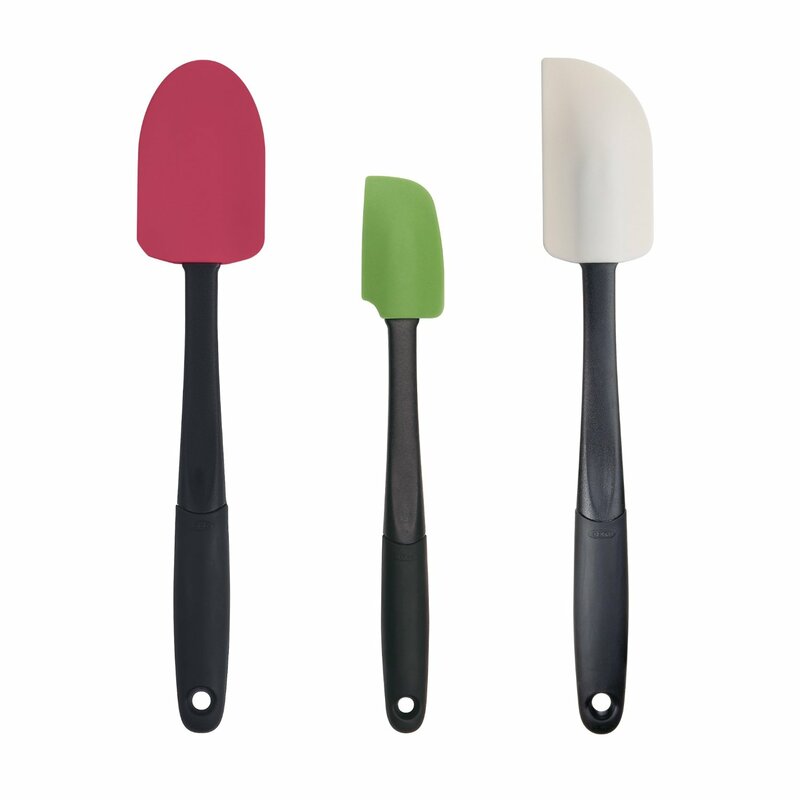 I got one of the cookie spatulas last year (in green) and I'm constantly reaching for it. Since it's silicone-coated, I know it won't scratch my bakeware or nonstick, which is a big deal. And it's just the right size to wedge under a cookie on a baking sheet, even if I've placed them a little closer than they should be. And even though spatulas and icing knives, I can always use extras. Those really are the sorts of things it makes sense to have more of. And cookie cutters ... well, I can always use a few more. The round cutter was pretty big, so it could be used for things like biscuits as well. Or maybe small hand pies. To see how I made the bites, see THIS post. This recipe isn't as sweet as some, which makes it good for cookies that will be iced. But they're also sweet enough for eating as-is. If you're not planning on icing, these would be great cookies for sprinkling on a little bit of colored sugar, as well. I used all three cookie cutters, because I wanted to try them out. The stars were the smallest, and the round cutters were pretty big. Since those round cutters were so large, I decided to cut stars out of the centers of them, and as the cookies spread (not a lot - just a little) the stars filled in to make an interesting pattern. For icing, I used a buttercream that I had on hand. Royal icing could be great if you needed a more solid surface, for example, if you wanted to write on the cookies with edible markers. In the bowl of your stand mixer fitted with the paddle attachment, or in a large bowl using an electric mixer, cream the shortening, sugar, baking powder, and salt. Add the eggs, one at a time, beating until they're incorporated. Add the vanilla and beat in. Add the flour in several additions (to keep it from flying all over when you start mixing. Beat until combined. Transfer the dough to a plastic bag and refrigerate until well chilled - at least 4 hours or overnight. When you're ready to start baking, heat the oven to 375 degrees and line some baking sheets with parchment paper. 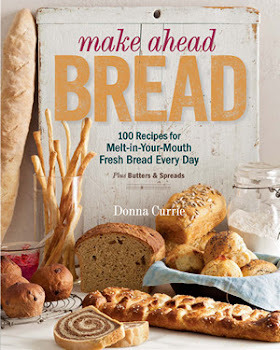 Flour your work surface lightly and portion the dough into several pieces to make them easier to work with. Use a rolling pin to roll the dough to between 1/8- and 1/4-inch thick. Thinner cookies will cook a little faster and be crisper, but it's your choice. If the dough tends to want to break apart as you roll it, you can knead it a little bit to warm it slightly so it will roll out without breaking. 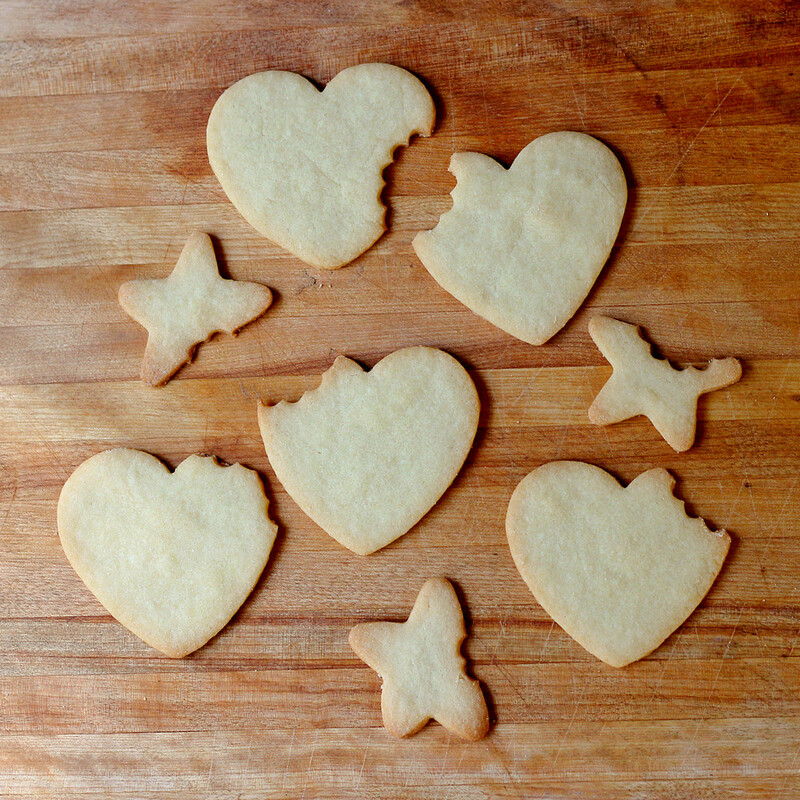 Use cookie cutters to cut the cookies into your desired shapes, and arrange them onto the cookie sheets, leaving space between them. The thinner cookies won't spread quite as much as the thicker cookies. Bake the cookies at 375 degrees until they are slightly browned on the edges, about 14 minutes. Transfer the cookies to a rack to cool completely before frosting. Once the cookies have cooled, frost as desired. 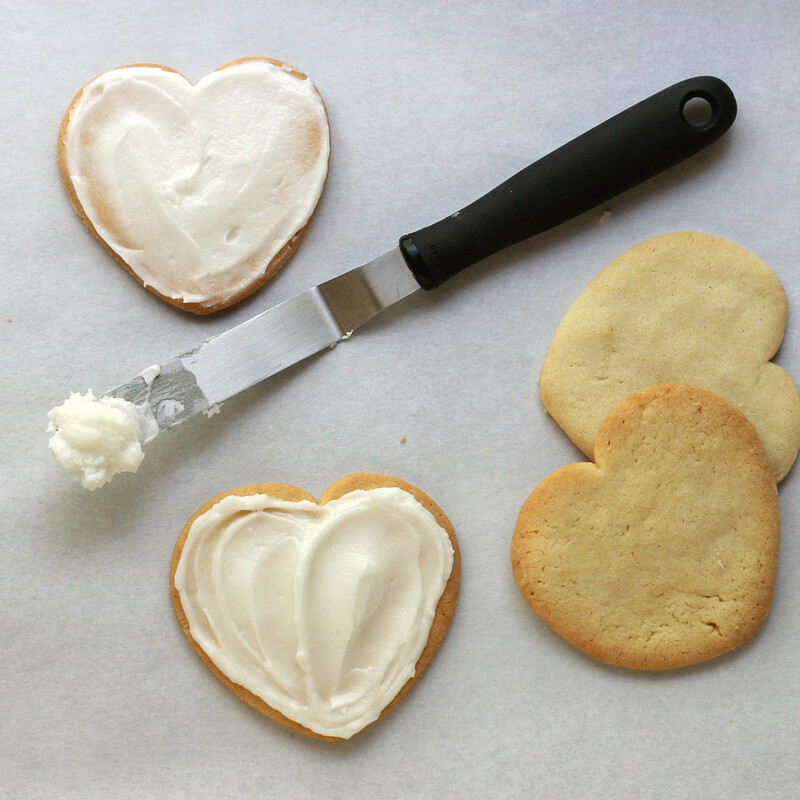 For the frosting, you can use a buttercream or a royal icing. The royal icing will dry harder, so you could color the cookies with edible markers. The buttercream will get harder, but it won't be as brittle as the royal icing, and it won't be quite as sweet. A ganache or even a dip in melted chocolate would also be great. * In 2014, OXO will donate up to $100,000 to Cookies for Kids' Cancer through specially marked baking tools, bake sale matches and other fundraising efforts. Cookies for Kids' Cancer is a recognized 501c(3) public charity duly incorporated under the laws of the state of New Jersey. Your donations are tax deductible to the fullest extent allowable by law. 100 percent of proceeds raised by Cookies for Kids' Cancer fund pediatric cancer research. I received products from OXO to help me make cookies, but I'm really doing this for the charity.